hemp | eating with S.O.L.E. Sometimes in the middle of winter you just need a sumer-time feeling dish, this recipe is all things bright and citrus, fresh and zippy. 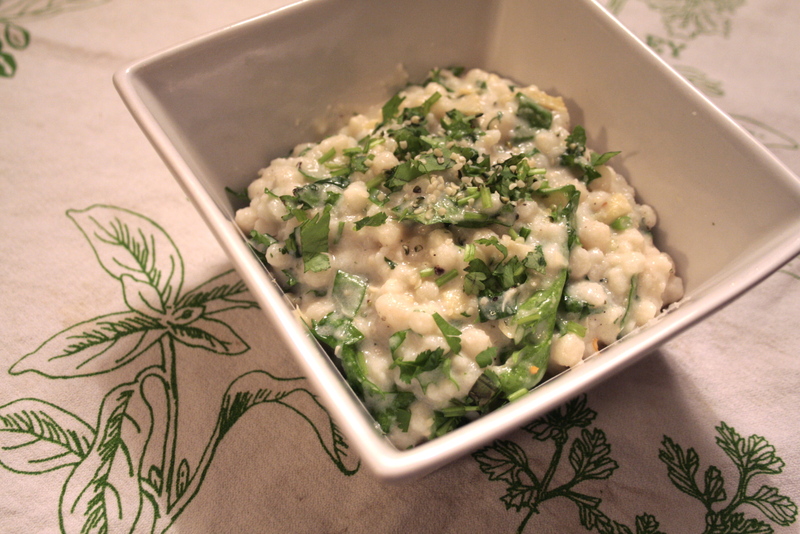 With flavors of coconut milk, cilantro, lemon juice, ginger, garlic, jalapeño and winter greens like hearty escarole and artichoke, finished with a hearty sprinkle of hemp hearts this vegan dish would be perfect with a frosty girly drink and you can imagine yourself on a sandy beach somewhere, rather than a snow-covered mountain side! Today started with a chill in the air and baking is just the right way to take the edge of a mountain morning. I have been watching my new (thanks to my back road buddy) rhubarb plant explode in the yard, and I finally went out this morning and chopped of 4 large (enough) stocks and fired up the oven. hmm what to bake? At present I no longer have a good source of affordable or trade-able local butter and I cringe everytime I pay $10 for a lb of organic butter at the grocery store. So I have been baking alot more vegan treats… yet I am flush with little happy eggs from my girls and ripe with new spring time growth around me. 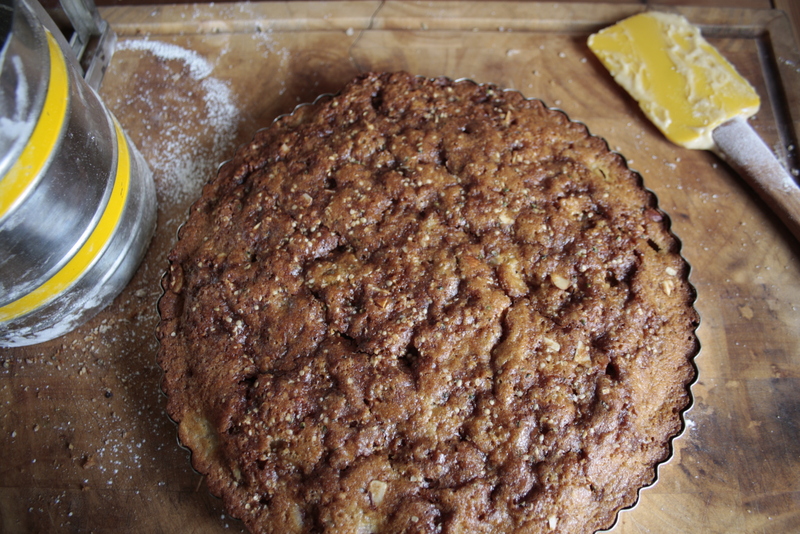 This recipe is a collimation of all of these element coming together in one damn tasty and beautiful looking cake. *Sorry for anyone who was looking over this recipe earlier.. it appears the last bit cut cut off and some weird bits added… anyway all fixed up! Oh and I served this with a dollop of whipped cream mixed with 1 tbsp of my dandelion jelly which was marvelous! 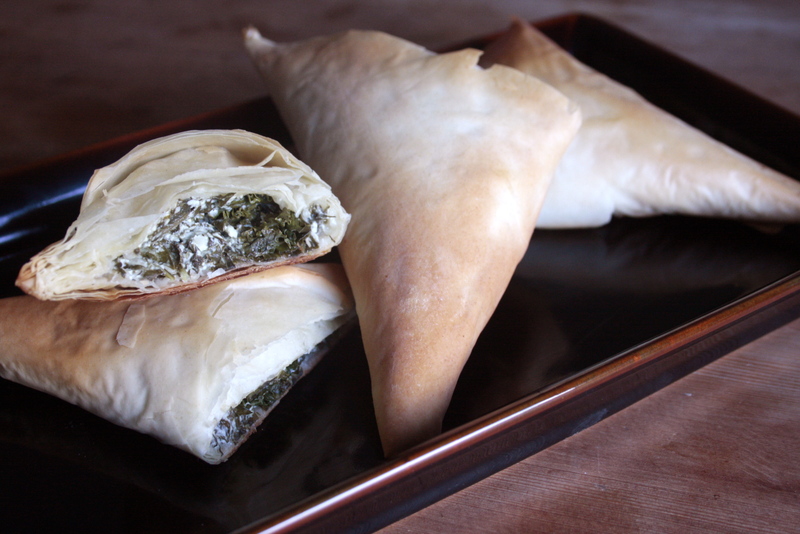 What do you get when you combine spinich, kale, feta, hemp seeds and dill all bundled up in fillo pastry… crunchy hempy pillows of goodness, that’s what. I played with using hemp oil brushed between layers of fillo rather than the butter I always lean on, and the results were great! The fillo was toasted perfectly and the mild nutty flavour the oil imparted was amped up by the hemp seeds in the cheesy green filling. 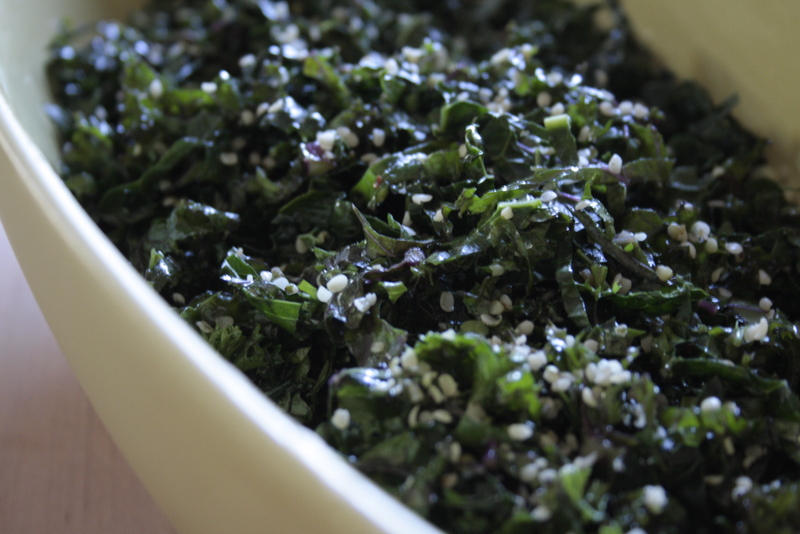 I really can’t get enough of kale salads… kale in general. You should see how many packs of kale seeds I have and plan to plant this year! I made this wonderful salad for my friend and brand new moma to help keep her out of the kitchen and her family nourished as they get used to the new little life in their lives. This is a take on a slalad my mother in law made while we were visiting her, and I think it’s simply perfect! kale, beets, grapefruit and hemp.. not much more to it than that! This is my all time favourite go-to fancy looking (by sinfully simple) dessert favourite! I have been making this hazelnut nutella tort for about 3 years, and have made some really yummy variations… but this hemp seed version takes the cake! The original recipe comes from Nigella’s “how to be a domestic goddess” but I have tweaked it enough to make it my own and whip it up often with no recipe and no fear.. as it always turns out perfect! once melted remove from heat and allow to cool slightly. mix well, then gently fold in egg whites. bake at 350 for 25 minutes, at which point the torte should be starting to crack in the centre, and will feel firm to the touch. allow torte to cool for about 10 minutes before removing the outer pan (if using a push through) glaze with a lovely chocolate gnache which I make by melting in a double boiler roughly 150 g of chocolate with a dollop of butter, once melted add about 1/3 cup heavy cream or whipping cream and mix well, pour and slather the gnache and sprinkle with more hemp seeds, allow to set for at least 30 minutes before cutting. I promise you will LOVE this as much as I do! 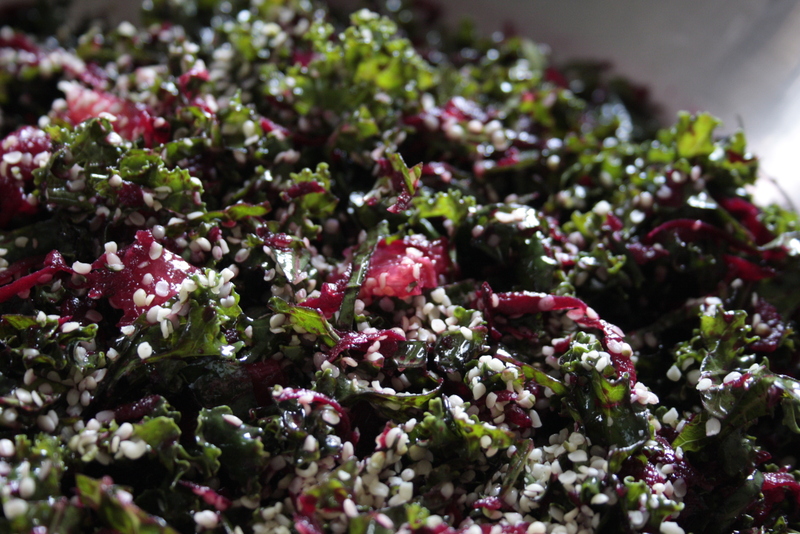 A while back we were at our friends for a BBQ and they made the most amazing raw kale salad, and I have found myself thinking about it almost everyday since that night.. and although I have eaten kale almost everyday since then, it took me more than a week to recreate their wonderful salad. It is so simple I wish I had thought this combination up sooner. So my advice is: do not put off trying this salad, go out to your garden.. or your local produce stop and gather a bundle of curly kale (purple is prettiest) and get to it! You won’t regret it. now massage the oil and citrus into the greens, garnish with a handful of hemp seeds and allow the flavours to soak up for a few hours at least. that’s it, that’s all… ENJOY! These are the perfect energy snack for a day of canoeing on the lake! Last week we had friends and family up and we took our newly re finished canoe for it’s christening and loaded 6 adults and 2 kids into two canoes and hit the lake. These muffins were a hit, and my sister in law picked these organic peaches in the Okanagan valley on her way through, along with a monster box of apricots (which just last night turned into a divine drunken jam.. that recipe is coming soon). I am not much of muffin fan, I find them cake-y and boring, I never buy them and rarely make them, however I must admit that this recipe breaks all my muffin boundaries and is sure to please the most cynical muffin hater, like myself. The super ripe peaches make perfect moisture pockets and the toasted coconut hemp streusel topping take them to the next level. This is a no fuss muffin I hope you’ll try and am sure you’ll enjoy. while the oven is warming place an oven safe bowl with 3 oz of butter in it, in the oven to allow it to melt while you combine your dry ingredient. 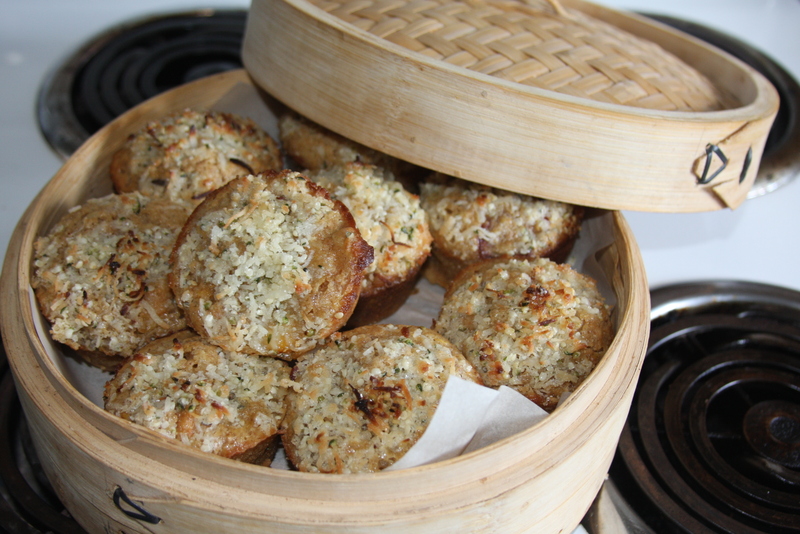 * After rushing to get to the lake with these hot from the oven I discovered yet another use for my bamboo steamers; they make great hot muffin storage containers! This is a yummy new addition to my miso collection of successful experiments! And I have fallen head over heals in love with this wonderful new cold pressed organic hemp oil I have in abundance, making this dressing a delicious combination of two perfectly pairing superfoods! I love to make dressings in mason jars which makes for an easy way to measure, shake, serve and store it. Start with 1 generous Tbsp of miso and mix into 2 Tbsp of hemp oil using a small whisk or the back of a spoon, until well blended. Add 2 Tbsp of lime or lemon juice, and 1 tsp of honey or maple syrup. S+P, and one toe of garlic minced. 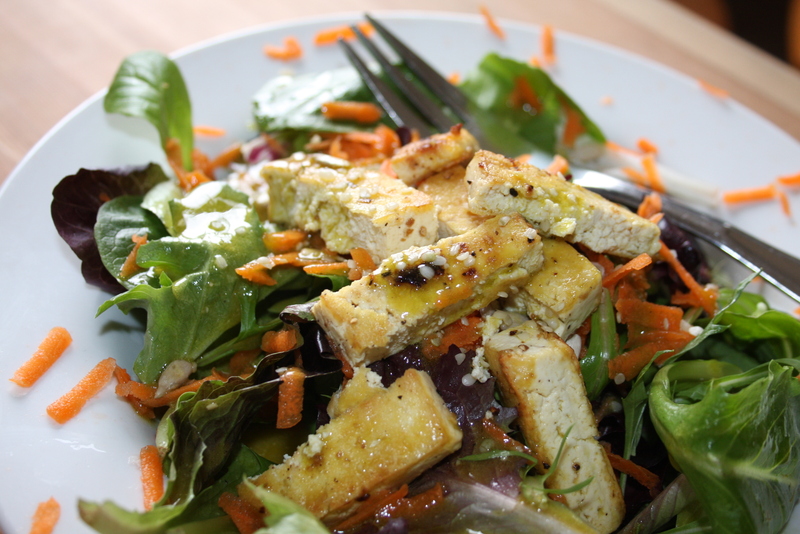 Shake well and douse your greens in this nutty rich dressing. This fab dressing keeps well in the fridge for a while, so you can scale up the recipe to make a larger batch easily. 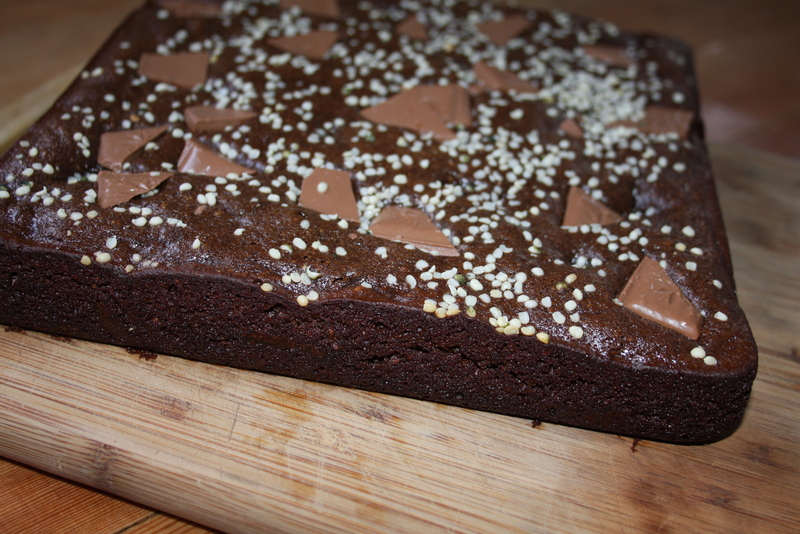 Divine Hemp Chocolate Brownies: Gluten Free, Lactose free, High Protein, Ultra gooey. Yum, the other day I was totally inspired by this cocoa-ee brownie recipe I found online here and I gave it a whirl at the cafe, and it turned out pretty darn good… I wanted to make it a little more chewy and I really wanted to use my great new Organic hemp flour… So I gave it a SOLE kick at home and it turned out just right! Super dense, really rich and the dates I added injected a caramel sauce like element which threaded it’s way through the whole brownie. When I remake this I will use a dark chocolate, cut into little chunks and sprinkled on the top rather than the milk chocolate bits I had in hand… alternatively a boozy chocolate gnache would be elevate this brownie to white tablecloth dessert! The only dairy in these brownies came from our sweet little hens. 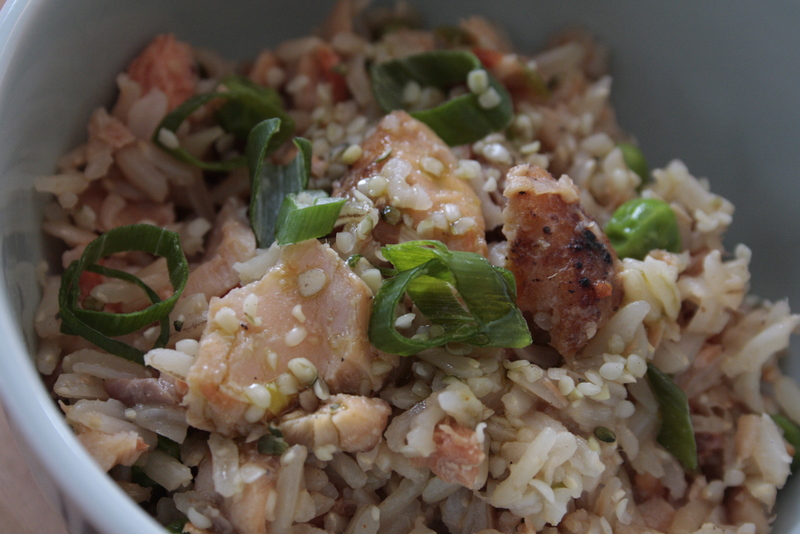 Combine everything together and pour into a prepared small square pan. 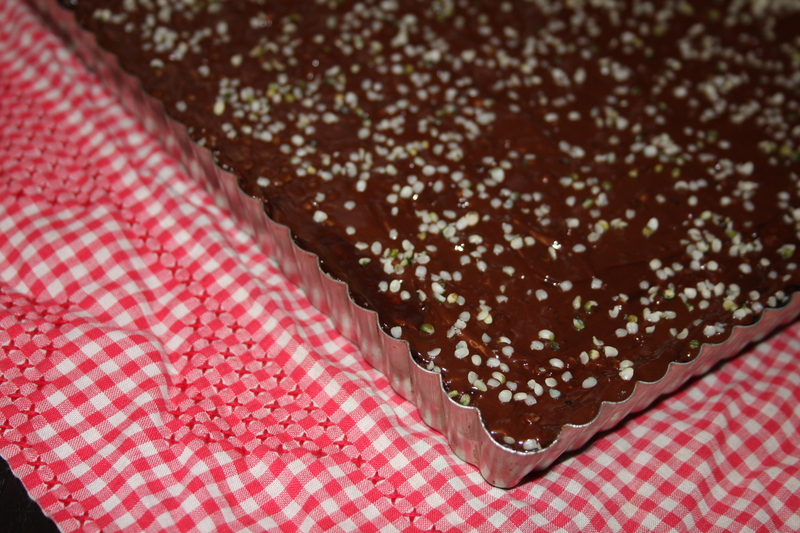 Sprinkle the top with organic hemp seeds and more pieces from your chocolate bar. dig in while they are warm.. its so worth burning your fingers for!